You can never have too much of a good thing, they say. Well, that’s complete rubbish. It took me about 2 years to start drinking Earl Grey tea again after months of several cups a day and I still haven’t been able to recover a taste for baked potatoes with cheese. And rhubarb? Well, I’m not quite sick of rhubarb crumble yet, but I’ve definitely had my fair share of it over the last year. It was time to try something different. You see, stewed rhubarb is alright, but rhubarb roasted in butter and sugar is a lot better. And you could top it with crumble, but why do that when you can have a flaky, buttery puff pastry base instead? I first saw this on Masterchef, when Marianne cooked it and the judges absolutely loved it. It looked brilliant, but all the recipes I found on the internet used a frying pan to caramelise the rhubarb and then cooked it in the oven. My frying pans don’t really survive in the oven, and I was worried that if I used the roast-for-3-hours technique the rhubarb would disintegrate into a pink mushy mess. As it turns out, rhubarb does survive hours of roasting. And tastes amazing after. In a round pyrex dish, about 20 cm in diameter, spread the butter as evenly as you can and sprinkle the sugar on the top. 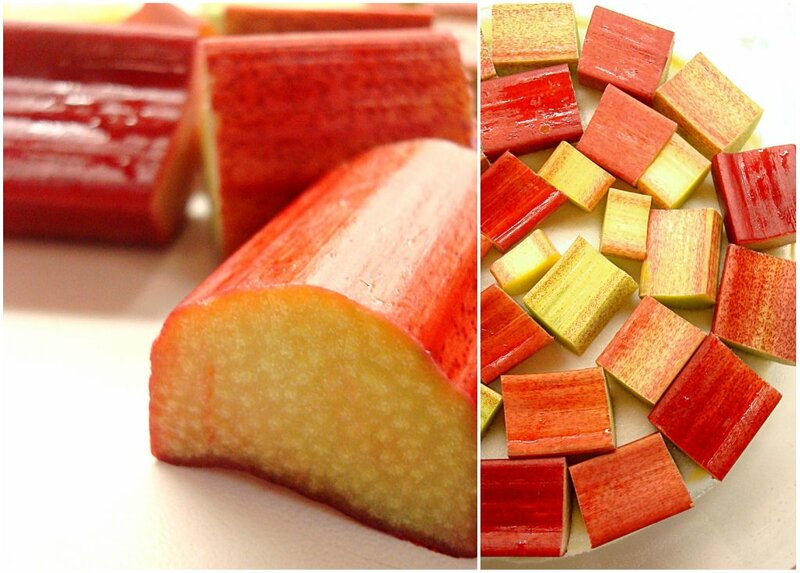 Arrange the chopped rhubarb in circles, making the bottom as pretty as you can, as it will be on the top later. If you have any extra bits, cut them smaller and sprinkle them over the top. Cover with foil and bake in the oven for up to 2 hours at 180 degrees, checking towards the end to make sure the bottom doesn’t burn. Roll out a sheet of puff pastry and cut it in approximately the shape and size of your dish. Place it on top of the rhubarb, tucking the ends in, and bake until the pastry is cooked. Let it cool for a few minutes, place a plate on the top and quickly turn it upside down. 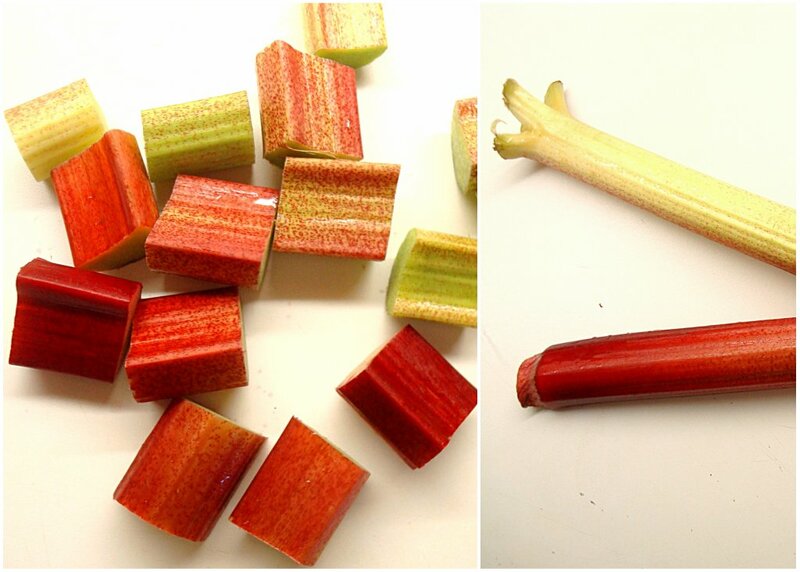 My pieces of rhubarb made a bit of a mess, but I quickly rearranged them and made it almost presentable. I loved the fact that there was some soft, juicy rhubarb but also enough caramelised bits too. The extra syrup dripped on the pastry and made the edges shiny and sticky. I served it with a scoop of vanilla ice cream. Wow!Could it possibly get any better than this? I love it! That tart looks just scrumptious! is this 180 degrees celsius or fahrenheit on the roasting temperature? to my eye this looks to be a lower temperature; or is it the time that compensates for it? @Anonymous Sorry about not making it clear, it is 180 degrees celsius! 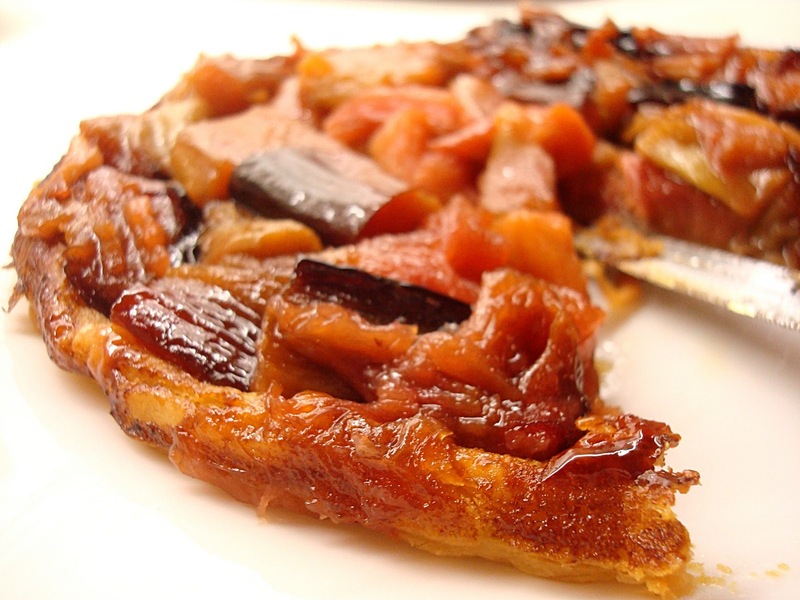 You just want to make sure the rhubarb becomes soft and caramelised without burning. So keep an eye on it since ovens differ quite a bit and adjust if you need to!